Chucking Reamers, Machine Reamers, Hand Reamers and Shell Reamers,CounterBores and Countersinks. We are instrumental in offering high quality range of Machine Reamers to the esteemed customer. 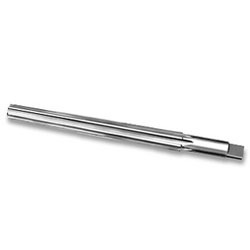 These Machine Reamers are one of the most popular cutting tools that are highly demanded in the market. 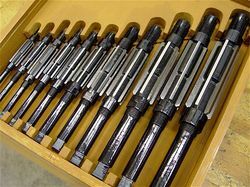 In addition to this, we offer custom-made Machine Reamers to the clients that are designed as per the exact details provided by the clients. Our customers can avail from us a superior quality range of Chucking Reamers at industry leading prices. The range of Chucking Reamers is designed as per clients' requirements and demands, at our sophisticated infrastructure. In addition to this, we offer these Chucking Reamers to the clients at most economical rates. Our organisation is widely known in the market for its ability to offer a superior quality range of Shell Reamers, which meets the exact market demand. The range offered by us is designed by our team of expert & skilled professionals, as per the market demand. Moreover, these Shell Reamers are available in the market in standard as well as customised forms. Our range of Hand Reamers can be availed from us at industry leading prices. The range is designed and manufactured in compliance with the international quality standards. Moreover, these Hand Reamers are checked on certain well-defined parameters to gauge their flawless nature before their dispatch to the clients' end. Adjustable Reamers, made of High Speed Steel, are for sale by Bisco Tool Supply. Adjustable Straight Shank Reamers are designed for most materials in a wide range of equipment including drill presses. An adjustable reamer expands by loosening one adjusting nut and tightening the other nut. All adjustable blade hand reamers have 6 blades which may be reground or replaced. 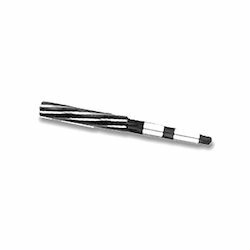 We manufacture these reamers upto 3"
We are one of the trusted names of the industry engaged in offering genuine quality Taper Pin Reamer to the customers. These Taper Band Saw Blade Cutters are manufactured using high-grade raw material as well as by employing the most modern facilities, at our state-of-the-art infrastructure. 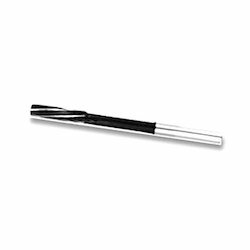 Looking for Reamers-Hand,Machine and Shell Reamers ?